Where can women entrepreneurs in Hong Kong get together to network, advance career development and support one another? 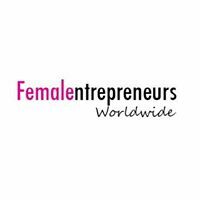 This was the question that spawned the creation of Female Entrepreneurs Worldwide (FEW), a non profit organization that aims to support the growing community women entrepreneurs based in Hong Kong. FEW was started by Anna Wong and Ines Gafsi. The two met last year at a TedHK talk, where Ines was a volunteer and Anna was attending as a guest. “We hit it off straight away, and quickly discovered that our interests aligned. So we thought, why not form our own network? We had the general idea of what we wanted it to be: a forum to meet similarly minded women to network, learn and grow together,” says Anna. Armed with the idea to help women support each other and overcome the loneliness of entrepreneurship, the two launched FEW. Originally from Hong Kong, Anna was working in public relations before she decided to launch her own educational startup. “Hong Kong is the ideal place for female entrepreneurs to get started. There’s so many supporting organizations already, like SME Centre and InvestHK. It’s incredible to have access to so much information,” says Anna. Originally from France, Ines moved to Hong Kong three years ago. She resigned from her full time position in social media and marketing last month to focus on developing FEW. “I was always an aspiring entrepreneur, and surrounding myself with people with the same mindset, to do something of your own, really empowered me,” says Ines. Register for the launch event of FEW on July 8, from 7pm-10pm at Oolaa, G/F, Bridges Street, CentreStage, Soho. The event will feature guest speakers, networking and drinks. 2. If you want something you have to create it. 3. When finding a business partner, trust is fundamental. 4. Never be shy in asking for advice. 5. Enjoy the entrepreneur lifestyle, where this is no 9 to 5. This interview with The Quick Word Company was conducted and condensed by Hannah Leung of EntrepreneurHK (EHK). « What’s a smart contract, anyway?